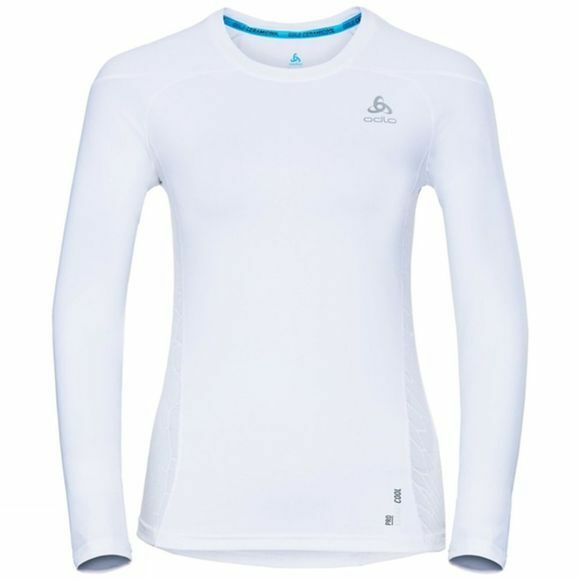 Feel the intense cooling effects of ceramic particles in the new Ceramicool Pro BL long sleeve crew neck top for women. Ideal for protecting and cooling your skin during warm summer activities, this top is designed to actively cool your skin by up to 1°C while providing high UV protection against the sun’s damaging rays. Elastic jersey material moves with you for an ultimately comfortable feel and an athletic fit make the Ceramicool Pro BL long sleeve top a flattering fit for every body.